INDIANAPOLIS —The Children’s Museum of Indianapolis announced plans March 25 for a $27.5 million project to support a paleontological excavation of a fossil-rich plot of land in northern Wyoming. The project will bring together scientists from around the world because of the rare confluence of Jurassic Period fossil bones, trackways and fossilized plants. The Jurassic site will provide clues that promise to tell a more complete story about the Jurassic Period than has ever been told. Dr. Phil Manning and Dr. Victoria Egerton show a fossil to visitors at The Children’s Museum of Indianapolis. Specimens from the site will form the basis for a major expansion of what is already the world’s largest children’s museum. To accomplish this, The Children’s Museum has two Extraordinary Scientists-in-Residence to lead the project, called Mission Jurassic. They are Professor Phil Manning and Dr. Victoria Egerton of the University of Manchester (Manchester, UK). The project is made possible through a lead gift from Lilly Endowment Inc. The Children’s Museum will serve as the Mission Jurassic leader. It is partnering with The Natural History Museum (London, UK), the Naturalis Biodiversity Center (Leiden, Netherlands) and the University of Manchester (Manchester, UK). As a result, more than 100 scientists from three countries will join forces to work in what scientists call the Morrison Formation in Wyoming to reveal dramatic new secrets about the world—millions of years ago. Project leaders are calling the fossil-rich, mile-square plot of land, “The Jurassic Mile.” There are four main quarries within the multilevel, 640-acre site that offer a diverse assemblage of Morrison Formation articulated and semi-articulated dinosaurs. The site also has many other animals, marine life, fossil plants and rarely associated dinosaur trackways of the Late Jurassic Period, 150 million years ago (before the Cretaceous Period). Nearly 600 specimens, weighing more than six tons, have been collected from this site over the past two years of fieldwork, despite the fact that only a fraction of the site has been explored. 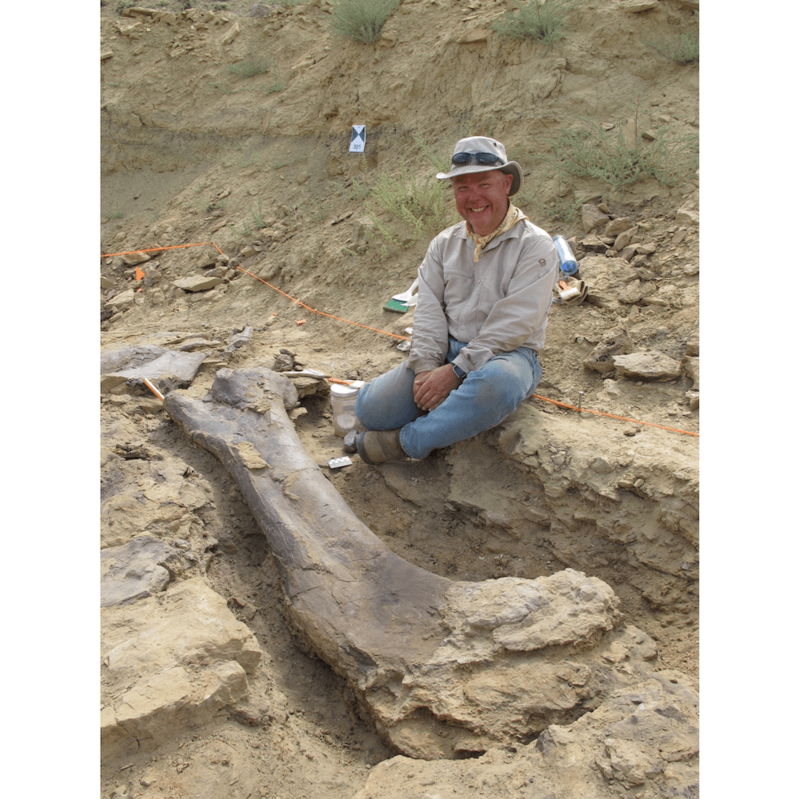 Included in that are the bones of an 80-foot-long Brachiosaur and 90-foot-long Diplodocid. 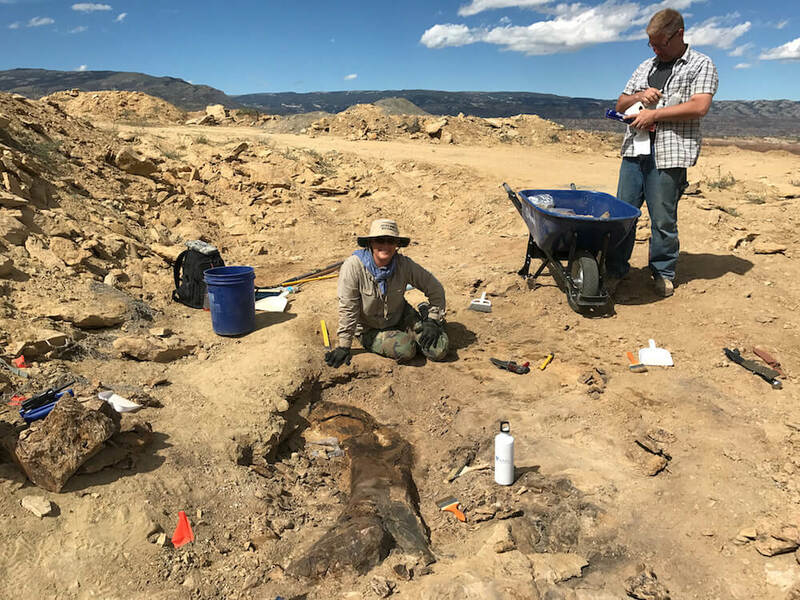 A 6-foot, 6-inch Brachiosaur scapula (shoulder bone) and several jackets containing articulated bones are among the material collected during the 2018 field season. A 5-foot, 1-inch femur of a Brachiosaur was revealed at the announcement on March 25, 2019. The Children’s Museum has selected paleontological experts from top natural history museums and universities around the world to form an international team with requisite scientific knowledge and experience to tackle the many questions raised by the new discoveries from the Jurassic Mile site in Wyoming. The Children’s Museum of Indianapolis (Indianapolis, IN, USA) will serve as the Mission Jurassic project leader. The museum’s current Dinosphere exhibit has captivated more than 15 million visitors since it opened in 2004, inspiring new generations of explorers and scientists. Visitors are introduced to some of the finest examples of past life including a rare mummified dinosaur named Leonardo and Dracorex hogwartsia. The first T. rex ever documented with a wishbone (furcula) and a Gorgosaur with a brain tumor are among other amazing fossils found there. A working Paleo Prep Lab at the museum allows visitors to touch real fossils while paleontologists work on real bones and learn the stories behind them. Jurassic dinosaurs as well as telling the stories of the paleontologists who are uncovering new and exciting specimens. Specimens from the well-preserved fossil remains at the “Jurassic Mile” site will form the basis for a major expansion of The Children’s Museum of Indianapolis’ permanent Dinosphere exhibit by adding creatures from the Jurassic Period. The project is already utilizing cutting-edge science, from particle accelerators to some of the most powerful computers on the planet, to help resurrect the Jurassic dinosaurs and add momentum to the process of unearthing the lost world and forgotten lives of the Jurassic. Fossils discovered at the site may also be shared with the Natural History Museum of London and the Naturalis Biodiversity Center in the Netherlands for possible display and/or traveling exhibitions in the future. 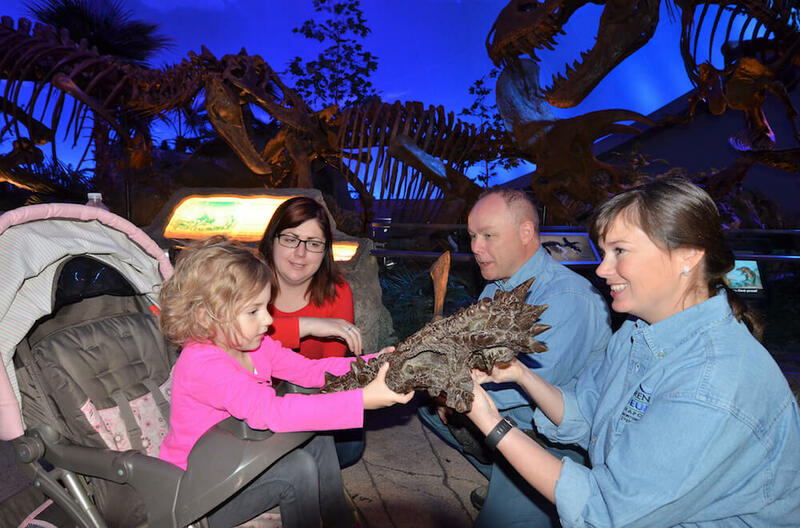 Dinosaurs captivate imaginations and are often a child’s first exposure to science. The Children’s Museum of Indianapolis and its museum partners will now bring the excitement of exploration and discovery to youngsters all over the world as it inspires the next generation of scientists and explorers. There will be more information about how The Children’s Museum of Indianapolis hopes to change the educational landscape in significant, hands-on ways the end of this summer. Honorary Trustee Susie Sogard and her husband Jack Sogard have also made an extraordinary lead gift to support this project. Toyota generously shared vehicles to safely haul our fragile fossils in an off-road adventure to The Children’s Museum. Additional funds will be needed to create extraordinary family learning experiences resulting from the research and exploration and all institutions will be actively fundraising to make that possible. The Children’s Museum would also like to thank the museum’s official partners — Riley Children’s at Indiana University Health, Old National Bank and Ice Miller LLP.